NEW! 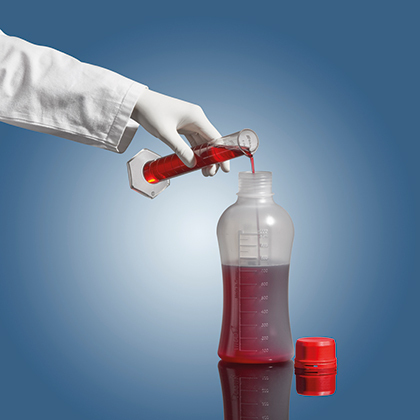 The VITgrip™ laboratory bottle from VITLAB® is optimized for storage and sample collection of liquids in the lab. The innovative design features a molded, ergonomic grip, highly accurate graduations (± 5%), and provides protection against liquid leakage. 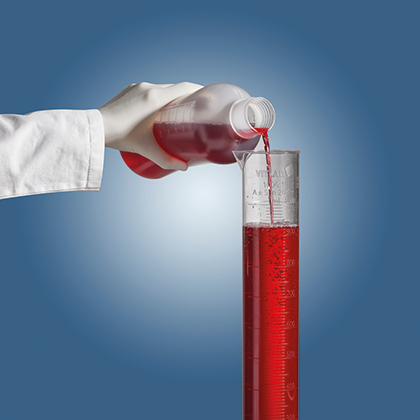 Excellent handling - The slim waist of the VITgrip™ lab bottles greatly improves handling. The molded volume graduations provide texture for an enhanced grip, especially when working with gloves. Leakproof* - The optimized sealing system of the bottle thread and screw cap form a reliable sealing system without the need of a cap liner that can wear, corrode or cause contamination. 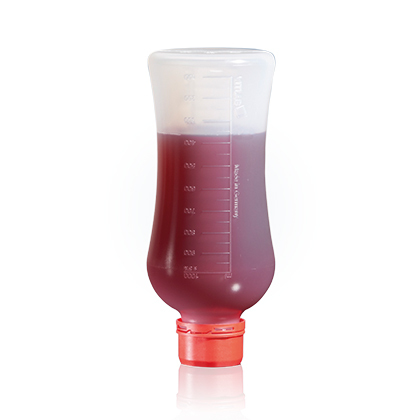 Easy readability - With double-sided molded graduations, the volume inside the bottle is easy to read, even during use. 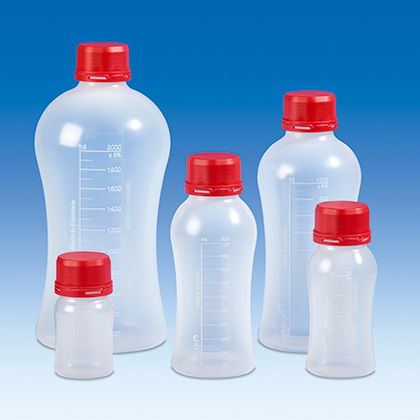 Robust and versatile - Manufactured from shatterproof polypropylene with good chemical resistance, the VITgrip™ lab bottles are suitable for contact with foodstuffs (according to regulation EU No. 10/2011). The hydrophobic material and lack of dirt-catching edges allow for smooth pouring of liquids and easy cleaning. Autoclavable at 121°C (2 bar) according to DIN EN 285. Tamper-evident closure - With a ring that tears off upon first opening of the closed bottle, it reliably signals if the bottle is still sealed before opening. After the ring is torn off, the closure can be used as a regular screw cap. The VITgrip™ lab bottle is half-filled with distelled water and is closed with the supplied VITLAB® screw closure - after the ring of the tamper-evident closure clicks into place - with a torque of 5 Nm. Subsequently, the bottle is turned upside down and remains, standing on the screw cap, for 15 minutes, without the filled-in water escaping. The test is carried out at room temperature (approx. 20° C) and atmospheric pressure.